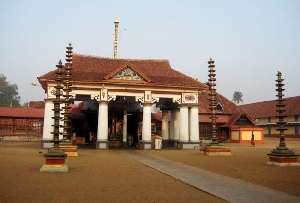 Constructed in a characteristic Kerala architectural style, Ambalappuzha Sree Krishna Temple is an ancient Hindu temple that made between 15th and 17th century, by the then ruler of the area, Chembakasserry Pooradam Thirunal-Devanarayanan Thampuran. 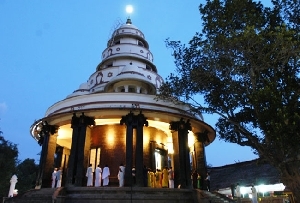 This temple has a connection with Guruvayur Krishna Temple as the idol of Lord Krishna in Ambalappuzha temple was brought from Guruvayur was the later was raided by Tipu Sultan in the year 1789. 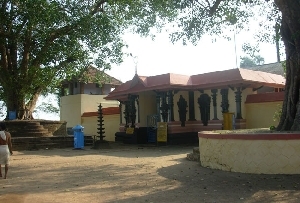 The idol has Parthasarthi with a whip in the right hand and a Shankhu (conch) in the left hand. 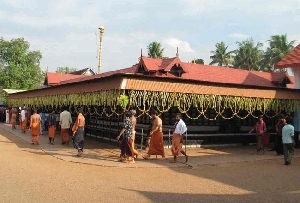 The temple is also quite popular for its special daily offering of Payasam prasad, delicious sweet milk porridge. 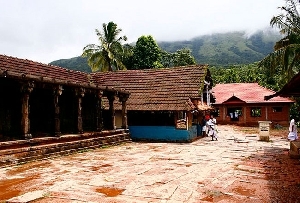 The locals believe that Lord Krishna himself visits the temple to taste the Prasad. 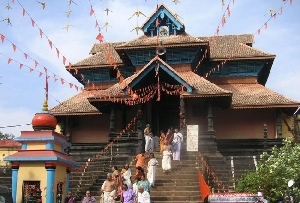 The inner walls of Ambalappuzha Sree Krishna Temple have the paintings of the 10 incarnations of Lord Vishnu, the Dasavatharam. If legends are to be believed, the Lord took the form of a sage and appeared in the court of the then ruling King, challenging him for a game of chess. He laid a condition that if he won, he would get any prize that he would ask for. As the King of a champion in the game, he readily agreed. While the game was midway, the sage announced his price. He wanted a few rice grains and the amount would be taken as per the use of the chessboard. 1 grain would be in the 1st square, 2 grains would be in the 2nd square, 3 grains would be kept in the 3rd square and so on. And then each square would have its multiples of its predecessor. The King agreed for the same. As was destined, the King lost the game. As he started putting the grains, he gradually realized that his royal granary would be empty but he would not be able to give the prize as the grains would be in millions. Then, the Lord came in his real form and asked the King that if he would prepare Payasam every day, he would get free from the debt. 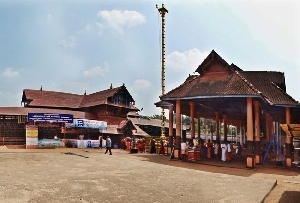 Amabalapuzha Temple Festival or Chambakulam Moolam water festival is one of the two main festivals that are celebrated here. 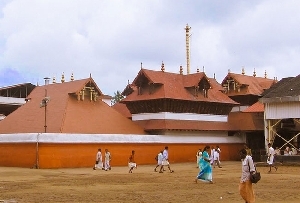 This festival is the commemoration of the event when the idol of Lord Krishna was brought here from Guruvayur Krishna Temple. 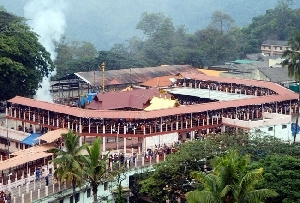 This festival is organized every year in the month of Mithunam, as per Malayam calendar, on the Moolam day. 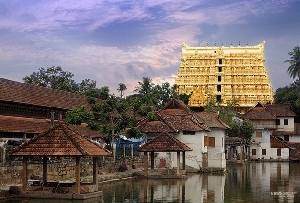 The other important festival is Aaraattu festival, organized in Meenam month (March/April) on the Thiruvonam day. It also includes of a flag hoisting ceremony.